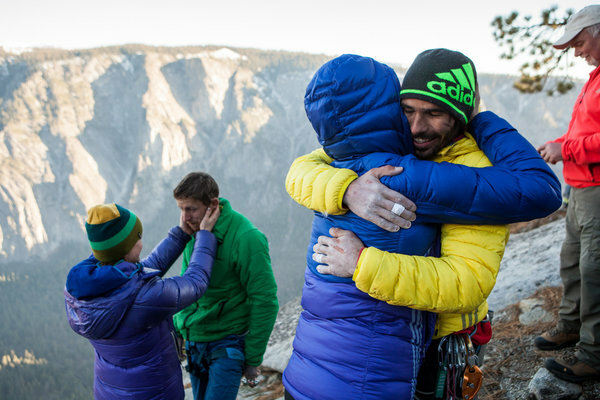 Tommy Caldwell and Kevin Jorgeson climbed the summit of El Capitan, 19 days after they took the first step to fulfilling their dream. 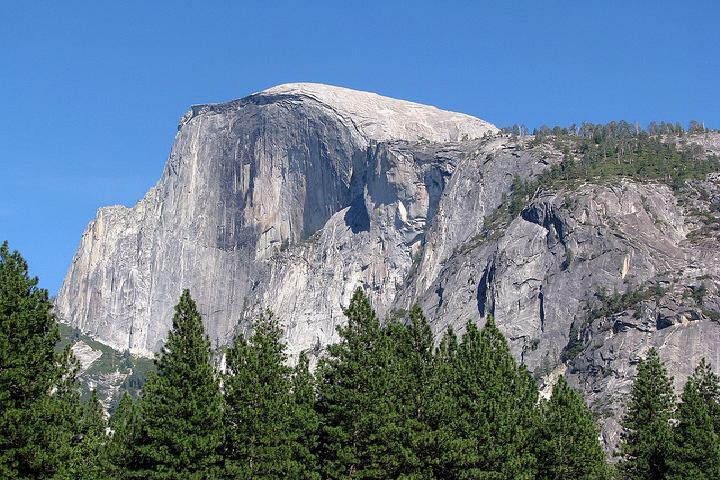 El Capitan is a 3000 feet granite rock in Yosemite National Park in California, US. To climb the granite rock has always been challenging for climbers because it is steep and not very rough. Why is this rock climb historic? Is it the highest climb? Is it the quickest rock climb? No. But it will do down in history as one of the hardest rock climbs. Here is why. First of all, Tommy Caldwell and Kevin Jorgeson free climbed the rock that means that they climbed it using just their hands and feet! That’s correct – Bare hands and feet! The only piece of equipment they employed was a piece of rope that would hold them in case of a fall. That’s not it! 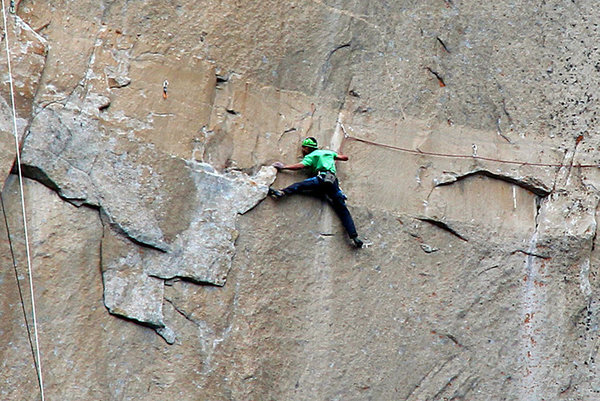 The duo chose to climb the most difficult section of El Capitan known as Dawn Wall. This section is too steep and lacks enough cracks in the rock for free climbing. The term ‘pitch’ is used by climbers to refer to a very steep vertical section of the rock which is extremely hard to climb. Caldwell and Jorgeson had 32 pitches to conquer. After they had started their ascent on December 27, they climbed the first 14 pitches without fail. Jorgeson, less experienced amongst the two got stuck on the 15th pitch. Next seven days he tried but couldn’t climb it. It was a sad moment for the team as Caldwell didn’t want to make it to the top alone and Jorgeson did not want to leave the challenge midway. After 11 attempts, Jorgeson climbed pitch 15. “I didn’t want to accept any other outcome than getting up that route.’, Jorgeson said. Hands were the most important tool Caldwell and Jorgeson had. Their hands got injured and bruised during the climb. That is why the duo had to take rest days in between for their hands to recover. They took painkillers daily. 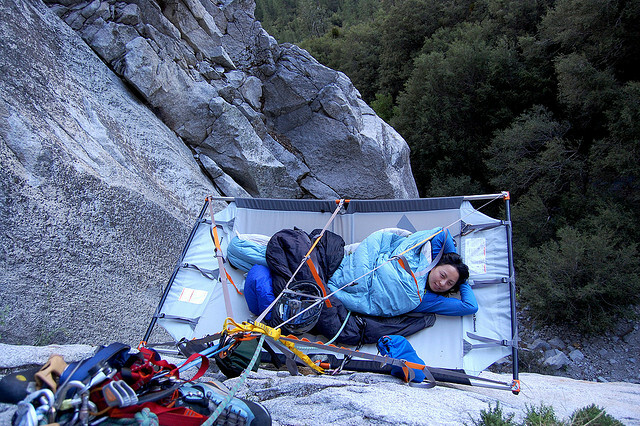 They slept in ‘portaledge’, a hanging tent system designed for rock climbers to rest in. Can you imagine sleeping in a tent hanging 2000 ft in the air? They enjoyed bagels and drank wine. And finally they did it! The duo reached the summit on January 15. 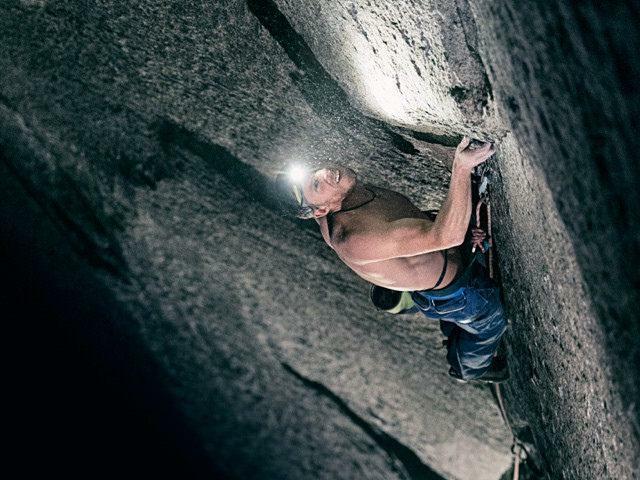 Tommy Caldwell and Kevin Jorgeson have become the first to free climb the down wall. Congratulations guys!